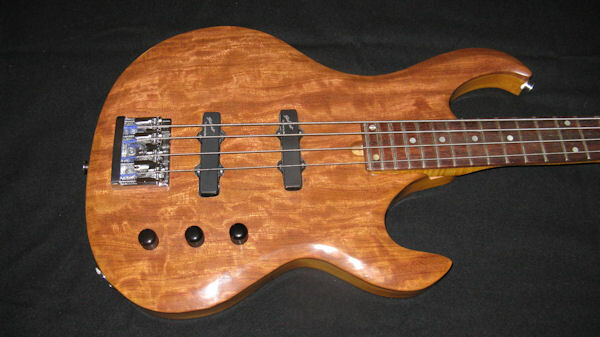 This beautifully hand-carved, 4-string electric bass has a highly figured mahogany body and beautifully figured bubinga top, which makes it a classy instrument. 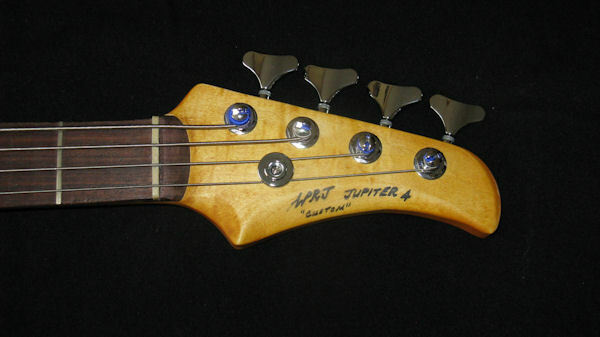 Its EMG Jazz Bass pickups pack a real punch. 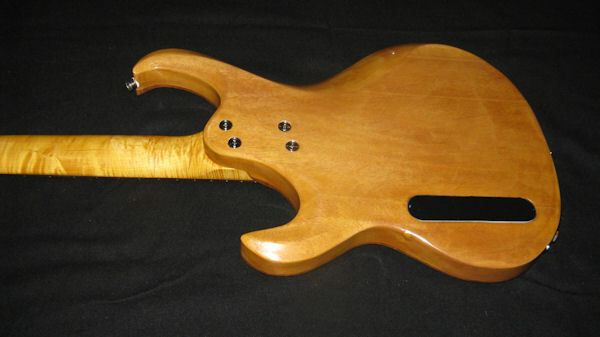 Beautifully hand-carved mahogany body with highly figured bubinga top. Figured maple neck, with a rosewood fretboard, has a finish that brings out the natural feel of the wood, and makes it easy to play. Neck has a 2-way internal adjustable, 'Hot Rod' truss rod, with adjustment nut at the body end, easily accessible without removing the neck. 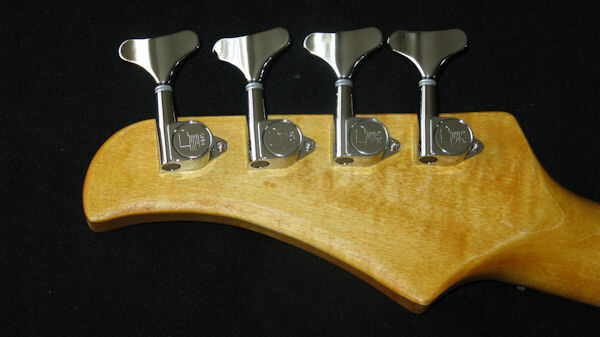 24 highest quality, well-dressed 18% nickel-silver jumbo frets. 2 EMG Jazz Bass pickups. 2 volume controls and a master tone control. High quality Schaller Roller Bridge provides adjustable string spread. Grooves in the cast baseplate stop lateral saddle movement, for stable tuning. Gotoh Compact bass tuning machine heads, with 20:1 gear ratio. Body is a Transparent Deep Vintage Amber, spray-finished with Colortone Water-based, high gloss professional guitar laquer.